BlackBerry Ltd. Is the manufacturer of the BlackBerry devices- Phones, tablets-playbooks etc. The BlackBerry devices run on the platform developed by BlackBerry Ltd. the BlackBerry OS. BlackBerry phones are known for its corporate communication and BlackBerry MessengerThe BlackBerry Application are developed using the BlackBerry Java Development Environment. The BlackBerry Java Development Environment is a fully integrated development and simulation environment for developing BlackBerry Java Applications. BlackBerry Integrated Development Environment- consists of a suite of application development tools, editing tools, debugging tools. Java ME APIs and BlackBerry APIs- consists of a set of Routines, protocols and Libraries for creating applications. JAVA ME is special type of API that is used for creating applications for embedded wireless devices. 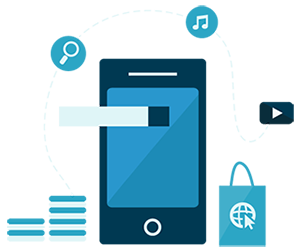 BlackBerry devices have the features of wireless data synchronization for its applications as emails, calendars, tasks, notes and hence are best for corporate communication. The operating system provides multitasking and supports specialized input devices that have been adopted by BlackBerry Ltd. for use in its handhelds, particularly the trackwheel, trackball, and most recently, the trackpad and touch screen. The developer has to keep in mind about the device hardware and the software architecture. Unlike the “i” devices which are almost similar in input hardware specification blackberry devices differ enormously in input mode. BlackBerry Enterprise Solutions- The BlackBerry Server exists behind the corporate firewall and provides the Gateway for Blackberry device user in organization within the firewall to form corporate communication like emails, notes, schedules, etc. It provides the features as data protection, device management and monitoring, application provisioning, authentication of Blackberry Java Application Environment. BlackBerry Internet Services- the normal internet services provided by BlackBerry. BlackBerry MDS- BlackBerry Mobile Data System exists behind the corporate firewall to provide the devices with facilities of HTTP, TCP/IP for devices to communicate over the internet through BlackBerry Proxies without VPN software. 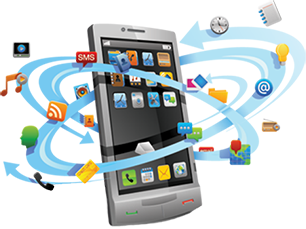 The developer should know about the services and how they can affect the applications developed or the applications being developed for the BlackBerry Services. After the Application development the application can be deployed for users at the AppWorld- the application market for BlackBerry Devices.